My Portuguese ancestors came from the Azores Islands (off the coast of Portugal) in the 1870’s to the small island of Kauai, Hawaii. Hundreds of thousands of Portuguese were brought over to work in the sugar cane fields on the Hawaiian Islands. The Portuguese were ‘simple, hard-working people who lived in an island environment similar to the Hawaiian Islands’. My father is a descendant of these brown-skinned people and he was born and raised in Kapaa, HI. My childhood summers were often spent running barefoot on the sand, swimming in the warm ocean, being with aunties and extended family, eating lychee and pulling limpids (small mollusks) off of rocks. It was idyllic and I came to think of Kauai as home rather than California where I lived and went to school. I remember a moment of being 13 years old and crying profusely about having to go back to the mainland. Roots run deep on Kauai where my great-great grandparents on both of my father’s side arrived from the long Atlantic to Pacific Ocean journey. As an adult, I lived for many years in Kauai and raised my barefoot son on island. It’s pretty amazing to have a spot of land as gorgeous as Kauai where family lineage goes back 145 years, because childhood and adult memories tend to melt together. There are not many places on the island I haven’t been and every corner holds multiple stories for me. 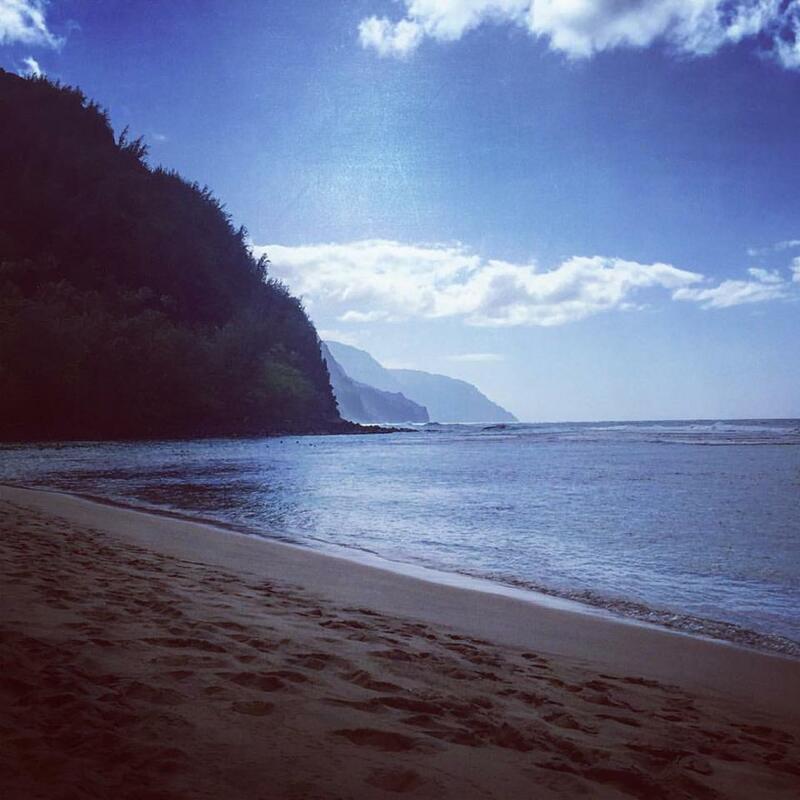 Now I return to Kauai as I’m in the middle of a deep soul dive journey healing cancer. Unfortunately, twenty years before I was born there was an unresolved family trauma that spiraled down and affected me, as it was never healed. In my own cancer journey I am seeing how residual impacts from the past can affect us in our present. Trauma if not addressed lives in our DNA until it is healed, resolved and let go of. As I walk upon the red dirt of Kauai, the same soil my grandmother walked upon, I feel the gentle waves lap upon my feet and I’m very aware of the inner work needing to be done to heal the family karma I have absorbed. I am committed to the process of healing the pain my grandmother felt and letting that imprint go. The more I am willing and able to face the past the more I can live fully in the present and thus, embrace the future. The act of visiting the island, site of my family lineage and karmic disturbances creates a healing field, which allows me to release any past transgressions I might have innocently absorbed. We all carry the lineage of our past and we can choose to break the cycle and release it, freeing future generations from carrying the burden. I visualize a healthy future, free of cancer, my DNA clear of old karmic stories and walking peacefully with the ancestors of the past and descendants of the future. May we all heal our family lineage and embody our present day moments full of health, vibrancy and love!